From first dates and successful relationships to friends, colleagues, and new acquaintances, unlock the hidden secrets to successful communication with anyone and learn to flourish in any environment. 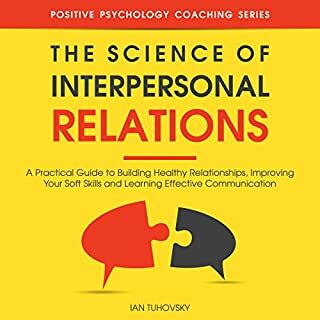 Guaranteed to change the way you think about relationships forever, The Science of Interpersonal Relations empowers you to identify those communication skills you need to work on and develop powerful techniques that will ensure your interpersonal relations thrive. Are you one of those people who find it difficult to get along with people? Do you feel that your life would change considerably for the better if you could improve your people management skills? Have you always been awed at the site of some people being able to feel comfortable in whatever situation life puts them? Would you like to be one of those people? Do you also worry about your poor emotional maturity becoming a stumbling block in your personal and professional growth? Then this is the book that squarely addresses your concerns. 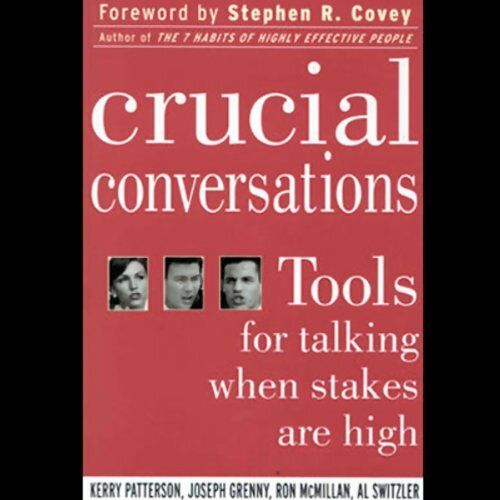 Thinking of picking up Crucial Conversations and spending several hours reading it, or did you already do that and need a refresher? 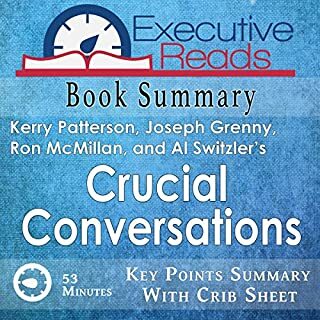 Kerry Patterson, Joseph Grenny, Ron McMillan, and Al Switzler's guide for conducting conversations when they matter most is valuable in your personal and professional areas of life. 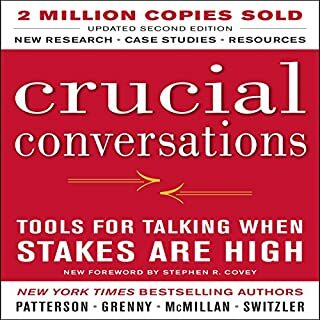 Crucial Conversations explains how to identify these important moments and how to successfully navigate them. Good short version. But still need the full boook. Simply Said is the essential handbook for business communication. Do you ever feel as though your message hasn't gotten across? Do details get lost along the way? Have tense situations ever escalated unnecessarily? It all comes down to communication. We all communicate, but few of us do it well. From tough presentations to everyday transactions, there is no scenario that cannot be improved with better communication skills. This book presents an all-encompassing guide to improving your communication. Everyone who presents or is in a sales position should read this book!! Based on the authors' highly popular DialogueSmart training seminars, the techniques are geared toward getting people to lower their defenses, creating mutual respect and understanding, increasing emotional safety, and encouraging freedom of expression. 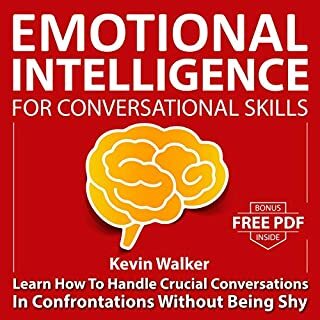 Among other things, rlisteners also learn about the four main factors that characterize crucial conversations, and they get a powerful six-minute mastery technique that prepares them to work through any high impact situation with confidence. I really enjoy this book thoroughly. It's straight forward and explains things well. The examples and explanations are easily understandable and relate to real life. There are plenty of clever labels that make remembering important information easy. I enjoyed the explanations of labels such as: "Dope-up Dumbed-Down state". This label explains why critical conversations are difficult from a biological standpoint. Crucial conversations are defined as interactions with others (at home, work, or elsewhere) that have moderate to high stakes, opinions vary and emotions run high. The poor habits seem to reflect poor habits I have myself. The examples seem reasonable to real life and they are written in witty ways. The narration is (nearly) perfect as the description indicates. The narrator reads with accurate expression. I often found myself relating to the situations that are in the book. I'm a "Mute & Salute" kind of person (or "silent fumer"). I have been avoiding or poorly handling crucial conversations in my own life because I have felt ill-equipped to do it well. It undermined my influence. I've reread the forward & first chapter 3 times now. I have struggled with a lot of the things that are listed in the book. I look forward to applying these principles to my own conversations. I liked it so much, I ended up buying it as a gift for a friend of mine who I know would enjoy these topics and tools. 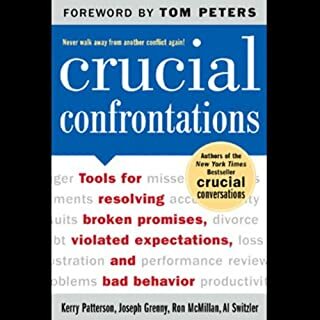 I also look forward to listening to "Crucial Confrontations" by the same authors. I think this book should be considered by all. We are taught the technical skills of our professions. But often we are not taught the most important one... How to communicate with one another. This audiobook has transformed the way that I interact with everyone. I find that during the course of one day I have at least one conversation that is crucial. Before reading this book I would fumble my way through the discussion leaving myself and the person I talked to feeling stressed. I am much more effective in my personal and professional communications. This book has helped me not only in my personally but also professionally. I used these techniques in all situations whether at home with my spouse or at work during a preformance review. It has helped me move further in my career by learning how to express myself in all types of situations with all types of people. Outstanding! This is one of the best books I've ever read on the topic of interacting with others. The book really causes me to stop and think about what I'm saying, but more importantly WHY I'm saying it - what story have I made up in my mind about the person I'm giving my message to? Is it an accurate story? Have I thought about our pending conversation and found the common ground on which to build that discussion? When I've practiced what I've learned in this book, my crucial conversations go well. As an example, I had been years in conflict with someone in my organization that I felt was only interested in showing he was "alpha male". I started applying what I learned in this book. Over time (and not that much time, actually), the relationship I had with this individual changed dramatically. We now interact with each other based on mutual respect, common goals, and true collaboration. This should be on every leader's "must read" list. I wish I had heard this before my last 5 relationships!!!! I found this informative on more levels than the obvious. I would recommend this to all of my ex-boyfriends and my ex-husband if they'd only listen!! 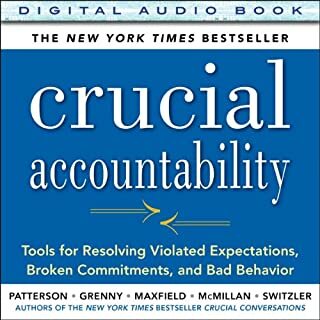 Where does Crucial Conversations rank among all the audiobooks you’ve listened to so far? Excellent - I own 100 + audio books - I recommend this book. I have listened to this book multiple times and so I recommend it (as opposed to the audio books I could not listen to or "wade through" even one time, or the books I did listen one complete time, however, have no intention to ever listen to again)As far as subject matter, I'm interested in benefits from talking about and addressing issues at work and in our personal lives (rather than silence and avoidance) and this book is an excellent resource - as is the book Crucial Confrontations by the same author. i had a problem with a customer, who was very mad at me. listening to the book over the weekend while driving in Cairo crazy traffic, i took three tips that helped me big time and the problem was solved. it makes sense ..
Book is missing a key component. Crucial Conversations presumes you are engaged in a difficult conversation with a peer (spouse) or a subordinate at work. Unfortunately, many difficult conversations occur where someone in a position of power presents their argument as "silence or violence" such as your manager or a large firm with which you are engaged in negotations. Crucial Conversations offers little to no advice on how to revert an aggresive individual to a productive manner of speaking. "Getting to Yes" is a a book that discusses negotiating from somewhere other than a position of power. Only after you have read that book would I recommend topping up your communication skills with this book. Yes, especially if that friend is having trouble in relationships. Have you listened to any of Anna Fields’s other performances before? How does this one compare? No, but it was easy to listen to her narrative; she made the material completely clear. What insight do you think you’ll apply from Crucial Conversations? I will pause before responding and put my listening skills to better use! I highly recommend this book to anyone who cares about relating well to others. I plan to listen to it every few months to gain more of the pearls it contains. I frequently recommend this book to my friends and colleagues because I've used it myself to change how I deal with people in difficult conversations. It has a well thought framework for dealign with difficult conversations, lots of stories to make the framework concrete, and many useful little tips and hints you can start using straight away. I have been looking for ways to improve my communication skills. This book is a masterpiece. Better to get the written book instead. Too many parts missing from the audio book. Better to get the written book instead. 2) running time is not 4 hours as stated, it's 2 hours and 52 minutes. The content itself, of course, is great - I'd give five stars if nothing was missed.